“Shogawa Kanko-sai” (Shogawa Festival) is a festival held in June every year in the city of Shogawa Town, Tonami City, Toyama Prefecture. 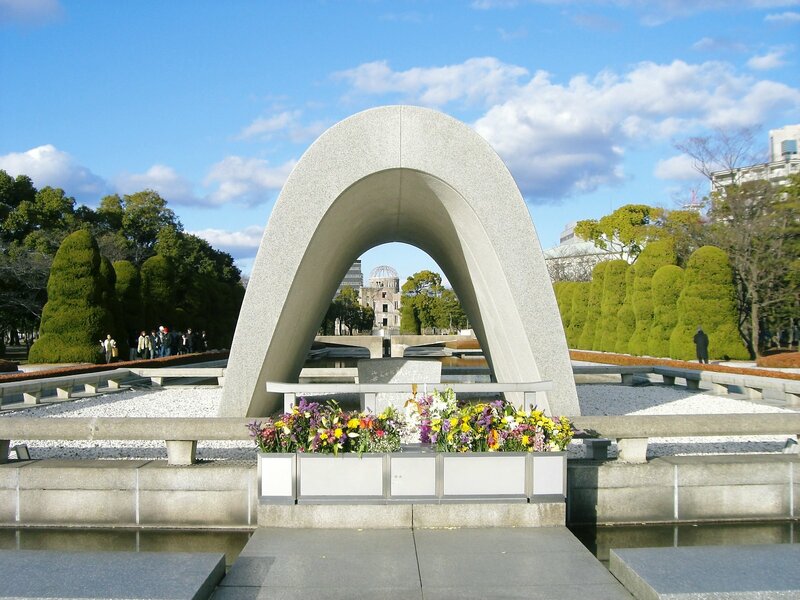 A festival began in 1953, commemorating the first anniversary of the merger of neighboring villages on June 1, 1952. It is said that it is a very precious festival culturally selected as “one of the hundred cultural properties of Toyama” in 2006. “Yotaka-Andon marching” which is done everywhere in the town is a must-see. “Yotaka-Andon” is a series of large, medium and small festival lanterns going through the streets of Shogawa River. 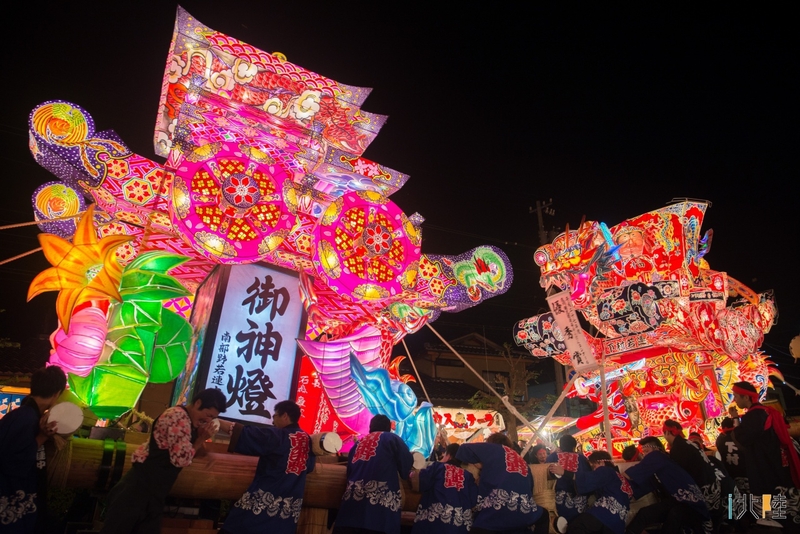 Among them, there are 9 large festival lanterns to do “Awase”. 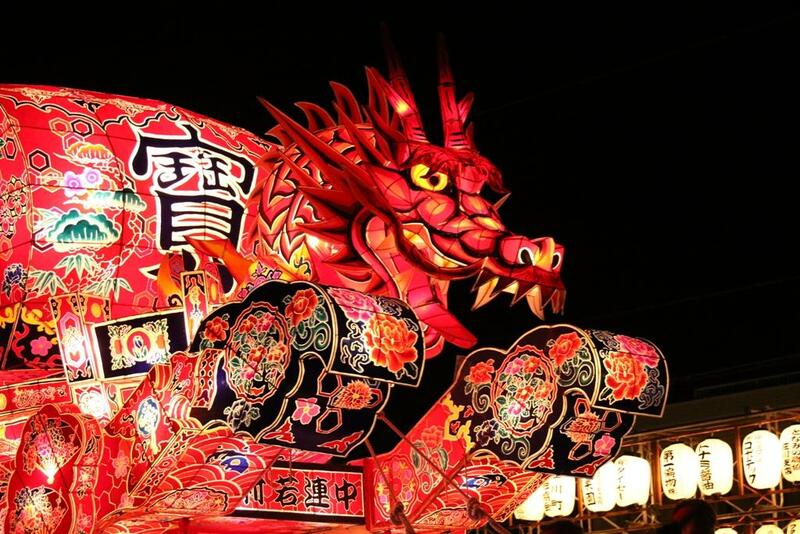 Huge lanterns called “Yotaka” are handmade over a period of about 2 to 3 months for each town. This large lanterns go around each town, gather on the main street, and a contest is held. 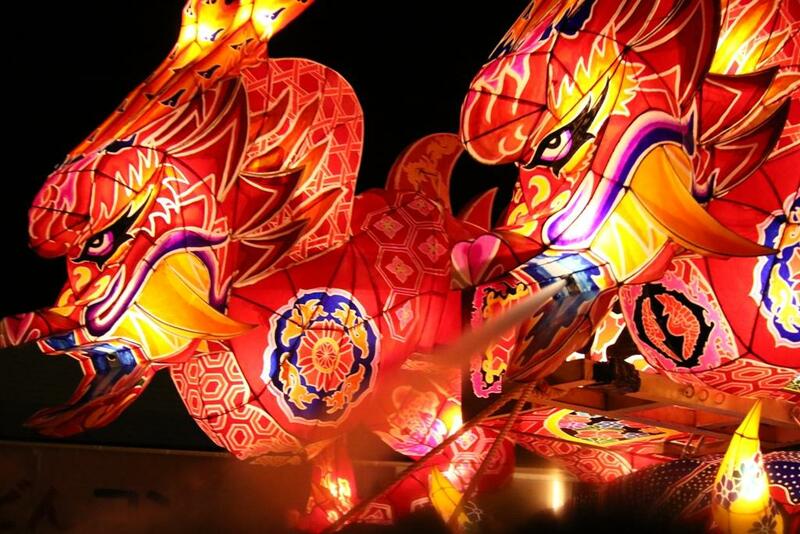 In the contest, among the large lanterns, the excellent prize for that year will be decided. After the excellent prize is decided, “Awase” (matching) will be started. 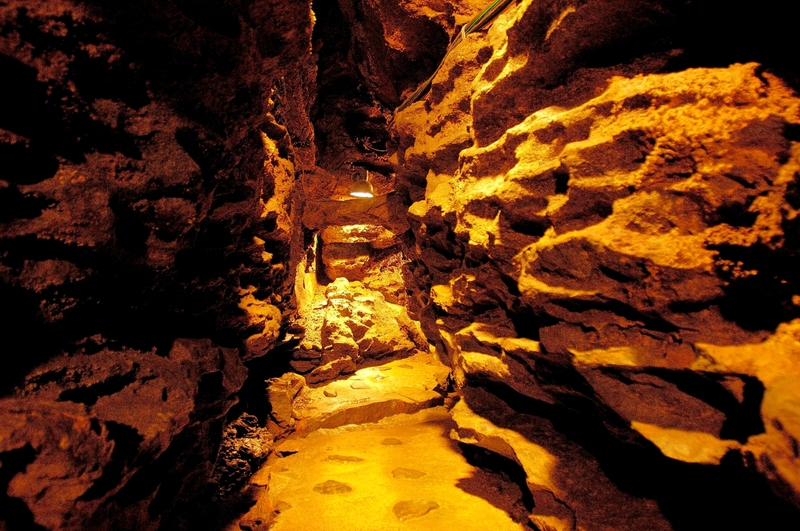 This “Awase” is a featured event, and it collides with two large lanterns which confronted a little with full power. It is so powerful that the earth sounds at the moment you hit it. It is also said to be alias “Fighting Festival Lanterns” from this intensity. Battle the large lanterns and then press each other’s lanterns with the stick. This part is said to be the best climax in Yotaka-Andon. In addition, “Yosakoi” is one of the highlights of the Shogawa Festival. Various teams will participate from the local to conduct a parade. You can watch gorgeous and elegant performances. Shogawa-machi, Tonami-shi, Toyama, it is a small town, but it is a place with very delicious river fish, which is caught in the Shogawa river which the clear water flows, and the special product called “Yuzu” (a small citrus fruit). 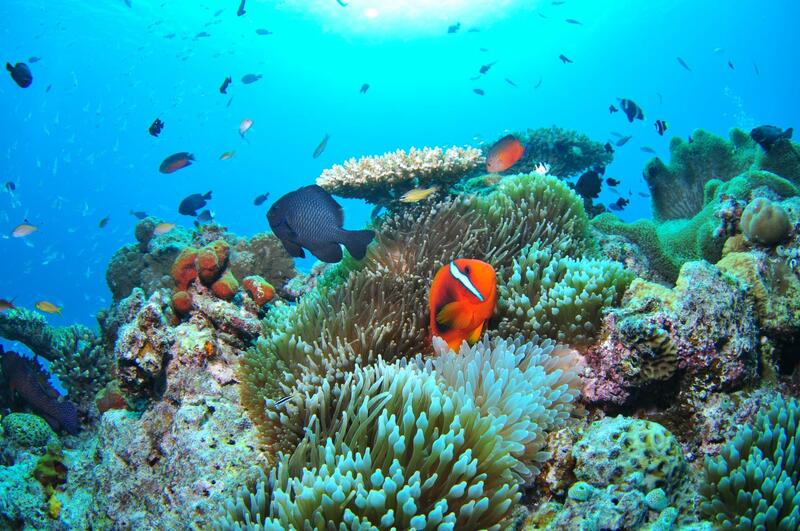 You can seek comfort from this place on a holiday. However, the town is filled with excitement when it is the time of this spring festival. 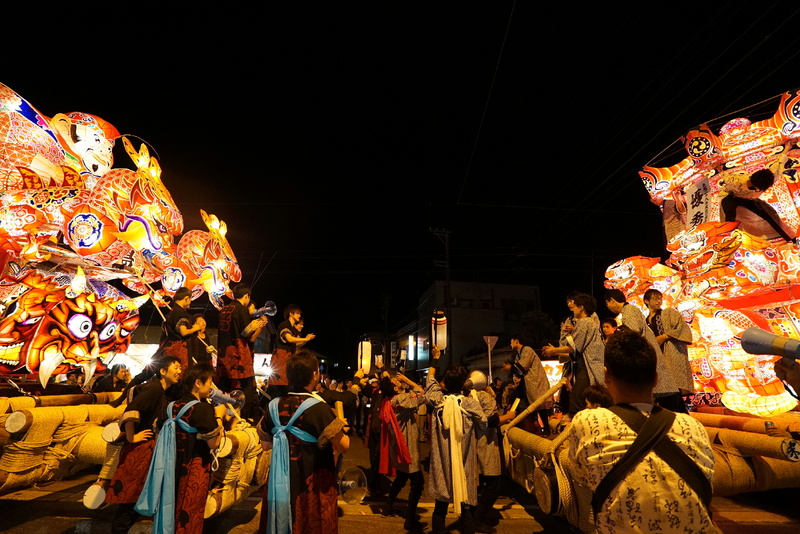 A night lamp festival being prosperous in Southwest Toyama is held in this town. In the festival, “Awase,” in which the festival cars belonging to different groups are smashed into each other, has become quite a sight. When a hot battle between the towns occured at night, the side that has seen also excite it. The Shogawa Kanko-sai “Yotaka Matsuri” (Yotaka Festival) is performed in Shogawa-machi on first Saturday and Sunday of June every year.. There is a lot of highlight every year, so many people in and around the city have come to see this festival. 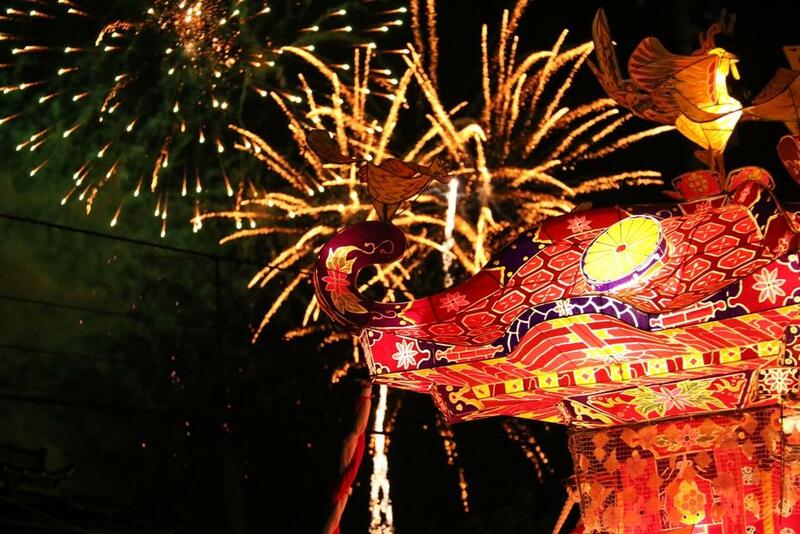 There are full of various events like a heroic “Yotaka Andon” (Yotaka lamp), fireworks flying in the night sky, grabbing the rainbow trout and Yosakoi dance. It is happy two days that you can taste many festivals at a time!